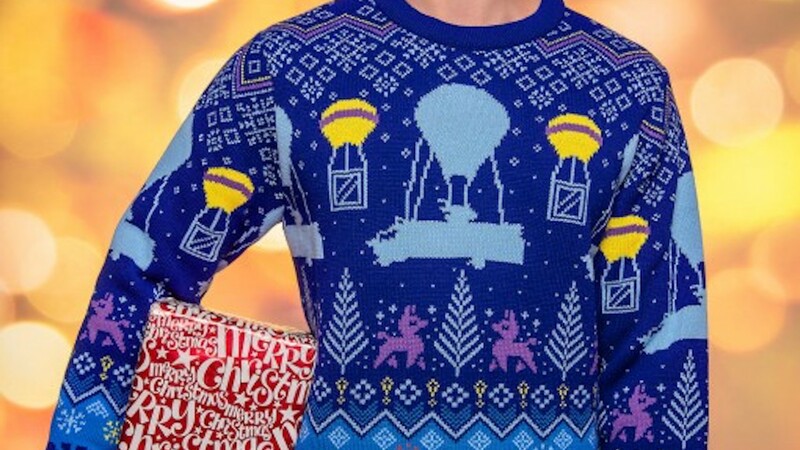 With the holiday season fast approaching, Merchoid has revealed that it has produced four officially licensed knitted Fortnite Christmas sweaters. Priced at £39.99 each, there are four designs that are available in youth to adult sizes that take their inspiration from the Brite Gunner and Merry Marauder skins, Llama and emotes. For those who like their clothing a bit more huggable, the Brite Gunner inspired Have A Bear-y, Merry Xmas Brite Gunner sweater is just the ticket. With a front and back design, this holiday skin has more than meets the eye! It also doubles as a Valentine’s Day sweater so you can get more out of those hard-earned V-Bucks!